In a high-speed blender, add all ingredients (except toppings) and blend until smooth “soft-serve” texture is reached. 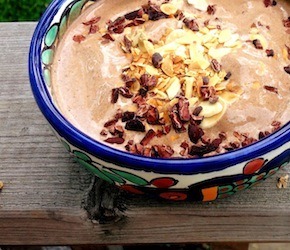 Scoop smoothie into a bowl and sprinkle with desired toppings for added texture and flavour. Enjoy immediately.